You look so great Lloyda! No worries about not getting the original (if you're rather hesitant to spend for it). Love the last pic! I love your dress! I never thought that brown and red could look so good together. You're totally rocking that fake Birkin. I'm not much of a bag person and I don't understand why people would want to spend hundreds of thousands on a purse. This dress is super cute. I love the style and the color. What a great look! Aw such a pretty bag! I love all the earth tones here... and I've always wanted that dress! i agree, the bag really looks adorable :D im loving your dress btw :) it looks really great on you! looks as fab as the original one...I love the color of it...and it matches everything in your outfit!!! 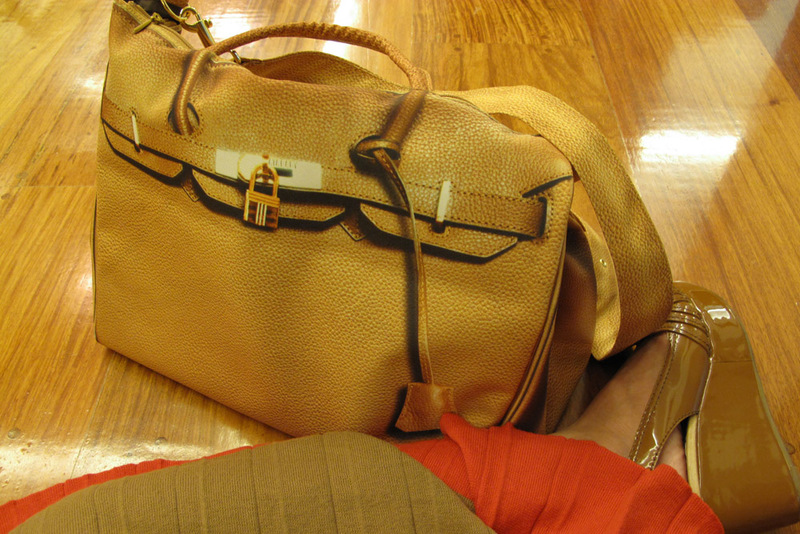 You can always get a pre-owned Birkin or Kelly! My 32cm Kelly is on it's way! =) Love your blog!